CVDesignR is a leading solution for generating creative, professional and multilingual CVs online. Choose your favourite template from our fully-customisable selection, and generate your CV in PDF format ready to go! It's simple, it's fast and it's free! Your CV with CVDesignR: well-designed and distinctive, your CV is clear and convincing and improves your chances of getting that interview! You can easily create multiple versions of your CV, by language or by type of job application for example, highlighting particular skills and achievements and telling the story of your career. 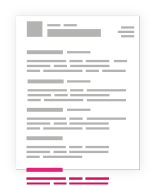 Download your CV in high-definition PDF format, generate a public link to share your CV online, or add a QR code directly in your CV to apply even faster! Approved by recruiters, our templates are carefully designed to improve the presentation and readability of your CV. Did not you receive the email? We take care of the design, you take care of the content. A high-quality CV is the first step towards the job of your dreams : make sure you get that interview with CVDesignR. Read user reviews of CVDesignR. Easy to use, nice design and customisable. And free! 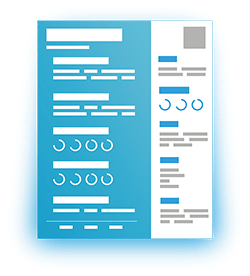 A simple and fast tool for building a CV, the layout is really good with CV templates that are well-designed. There are a lot of websites for creating CVs on the internet but this one stands out from the others because it's so easy to use! Simple, easy to use and free! A good solution for people who are not comfortable with word processing software, CVDesignR lets you create great CVs easily. Thank you CVDesignR! The most complete solution for designing and creating CVs. Did you not receive the validation email?